As a purchase manager of a chemical company, Tony paid $30,000 for 10 tons of Titanium Dioxide while Jimmy, who is Tony’s competitor, paid $25,000 for the same amount of Titanium Dioxide with same quality. Do you know why? As a housewife, Mrs.Smith spent $100 for a vacuum cleaner while her neighbor, Mrs.Jones spent $60 for a same one. Do you want to know why? Maybe you have never noticed about it but it is really happening in our daily life and becoming a trend——Customers are more likely to shop online and participate in group buying activities to get favored goods at lower prices. So, how much do you know about group buying? In 2000, Paul Allen started a website called Mercata under the financial support of Microsoft. It's a website on which customers make e-commerce deals. Shoppers would sign up together to buy the same product and the price they finally pay would reduce as the amount of signed shoppers increases. However, the website failed and was closed in 2001 due to the severe competition. But this move still contributed to the group buying. Today, group buying is very popular all over the world, especially in Asia, Europe, North America, South America, Australia and New Zealand. The interesting thing is that in India people like to buy real estate properties by group buying. Back in 2009, group buying was very popular among the Chinese factories when purchasing raw materials. Since then, group buying has spawned many different forms and has been highly sought after among customers in daily life (In China, people call it Tuángòu). When a product is under group buying, there would be a minimum purchase quantity or monetary amount set so that the vendor would allow the purchase. As wholesale price can be quite low but individuals always do not need to buy in bulk, group buying helps customers buy the same product with less money than before. Group buying is convenient but it requires a reliable organizer. The organizer should select qualified suppliers, then publicize the activity to ensure that enough people participate, and shall be responsible for the delivery and quality disputes. Back to the first question I mentioned at the beginning of this passage, how did Jimmy do that? Everyone who works in manufacturing field knows that if a buyer cannot buy raw materials in bulk, he has to buy it at a normal price, that is to say, he pays more unit price than those who buy in bulk. But things go different under group buying. In group buying, organizer collect the purchase demand of each participant and negotiate with the supplier for a wholesale price. So purchasers can buy the same products in a lower price. Now in OKCHEM , a Group Buying Service is on going on www.chembnb.com. ChemBnB is a group buying brand under OKCHEM. It is launched to gather the buying crowd of the same chemical products and help the purchasers get stronger bargain power. By offering the chemicals from renowned suppliers, ChemBnB can help the group buyers get high quality products at lower price. 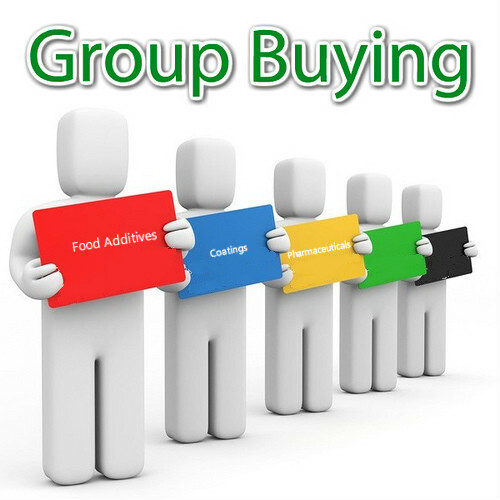 How can group buying help you in chemical trade?